To ensure you continue to receive information we send to you via email please add this address to your 'safe senders' list. BBC Two announced this week that it has commissioned a brand new series, currently titled '1914-18: The Railway War'! Spanning over 5 episodes, this exciting new series will see Michael Portillo uncover World War I's railway story - 100 years on. Each episode will uncover how the entire conflict, from start to finish, was a railway war: from the very earliest military planning prior to the declaration of war until the signing of the armistice in a railway carriage in Compiegne. Ffestiniog Travel is already paying homage to the role of railways during both WW1 and WW2 in its Railways & War escorted tour which travels to Jersey before touring Northern France's war landmarks. This 10-day tour marks the 100th Anniversary of the start of WW1 and the 70th Anniversary of the allied invasion of France by taking a fascinating tour of battlefields and memorials. The tour, which departs Monday 30 June 2014, also takes in the important role of the railways by visiting the "Petit train de la Haute-Somme" - the last remaining section of the extensive military railway network built for use in Northern France during WW1. The military museum at Froissy station displays up to 40 locomotives and 120 items of rolling stock that served the trenches during the Battle of the Somme. 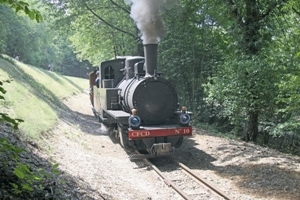 A ride on the CdF Pithiviers narrow gauge railway is also included - this railway illustrates the way redundant wartime material was reused to rebuild a crippled nation. Finally spend a day savouring the three connected lines that comprise the CdF Baie de Somme. This railway is noted for its unique metre and standard "mixed" gauge track work. BBC2 has not disclosed when it will broadcast the new series but key locations will include Belgium, Luxembourg, France and Britain. Michael will tell the story of the world's first war on the rails with help from rail enthusiasts, the descendants of those who fought on the rails, experts in railway and military history and ordinary people who share the belief that we should never forget. He will discover the locomotives and the carriages, which saw active service - the original Iron Horses of War. And he will have access to original artefacts including the Government's Railway Manual for War (1911) as well as railway poetry, war diaries and memorial souvenirs. The programme makers are keen to hear people's thoughts on this new series and are inviting comments on the official Great British Railway Journeys (GBRJ) Facebook page www.facebook.com/OfficialGBRJ We are excited to watch this new series and hope it will inspire us to re-produce some of the journeys and create some tailor made tours from it as with the previous Great Continental Railway Journeys series and the GBRJ programmes. Meanwhile why not whet your appetite by joining our Railways & War tour, priced from £1,525pp during this special anniversary year. 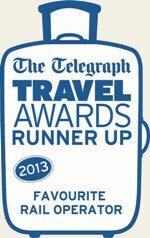 Full itinerary details are on the website but to discuss any aspect of the tour contact us direct on 01766 772030 or email info@ffestiniogtravel.co.uk.